What happens if the recipient isn't there when you deliver? I've received some flowers, but I don't know who they're from? Do you deliver outside of Sydney? Flowers are delivered between 9am and 5pm to business addresses and between 9am and 7pm to residential addresses. Couriers pick up around 9am, and again at 2pm, so the sooner you have your order in, the sooner it is likely to reach it's destination! We cannot guarantee specific delivery times throughout the day, though we do offer an express (by noon) option available for most suburbs in case you would like your delivery to be prioritised and delivered by 12pm noon. Your order will arrive on the delivery date you specify when placing an order providing there are no delivery problems such as an incorrect address, there is no one available to accept delivery, or there is no where safe to leave the delivery. Absolutely! if you place your order by our cut off time at 2pm we can have your order out that same day to most metro Sydney suburbs. Some suburbs require an earlier cut off time due to distance, but we are always working hard towards expanding our areas that can be delivered to with a cut off time of 2pm. Sorry, we cannot guarantee a certain specific time of day for delivery, though we will try our best to accommodate any requests. For example, if you would like your delivery to be sent late afternoon please advise us in the 'special delivery instructions' field on checkout and we will send your order with the last courier run. 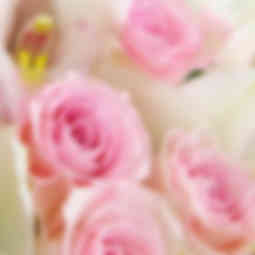 We use specialist couriers for all our deliveries with experience delivering delicate items like flowers. Each delivery is hand delivered to your recipients door or place of business or left out of public view if it is determined safe and reasonable to do so by the driver. We work with most of the drivers that deliver for us on a daily basis and have a great relationship with them, so they know what we expect in terms of service to our customers. From time to time we may call in additional outside delivery services to complete a delivery. As much relevant information as possible is the best way to ensure prompt delivery. Flat numbers, business name if applicable, ward/room number for hospital deliveries etc. are all very useful for our couriers. There is a 'special delivery instructions' field on checkout that you can use for any extra delivery information that you think may be relevant, for example: 'main entrance is at back door, watch out for the dog!, please call (phone number) if any problems'. If you are sending flowers to a hospital, it's good to be aware that some hospitals may not accept flowers to ICU/Emergency wards and many hospitals have a short supply of vases for patients. 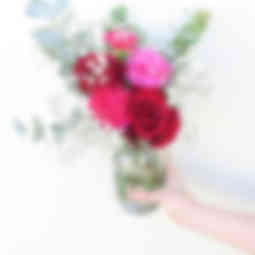 We've created a handy page with information about delivering flowers to Sydney hospitals, listing details that might help you decide which flowers are best to purchase depending on the hospital you are sending to. Please view our hospital flower delivery page for further info. Standard deliveries will arrive between 9am and 5pm to business addresses and between 9am and 7pm to residential addresses (orders should be placed by 2pm for same day delivery to most metro Sydney areas, though some suburbs require orders to be placed earlier in the day). Delivery charges depend on which suburb/area of Sydney your order will be sent to. To find the charges for your delivery suburb please visit our deliveries page. Sorry, we currently deliver Monday through Friday. The driver will leave the delivery with reception, mailroom or co-worker if accepted. If it's determined that the recipient won't be coming back to the workplace/hospital that day we will attempt to contact you to make alternative arrangements. Sure can! To ensure prompt delivery please provide as much information as possible including anything you may think is relevant, such as the business name or ward/room number etc. If you are sending flowers to a Sydney hospital we have created an information page outlining some tips for best results, including whether the hospital supplies vases or accepts flowers in ICU. Please view our hospital delivery page for more info. We currently offer the same great service from both our locations within Melbourne and Sydney. 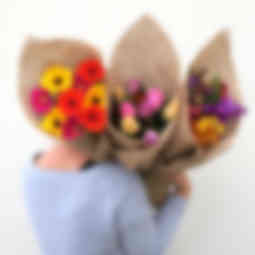 To place orders for Melbourne please visit our sister site www.flowersacrossmelbourne.com.au. We'd love to be your go to florist for both areas! We currently accept all major credit cards including Visa, Mastercard, AMEX and JCB as well as Paypal payments. If none of these options are available to you we can also accept direct deposit into our bank account, however we will need to wait for the money to clear into our account before we can send out your order, so please keep this in mind when placing an order. To place an order via direct deposit please call us on 02 9188 5490 from within Australia or +61 2 9188 5490 from outside Australia. It's a simple process of choosing which product you'd like to send, then clicking on the 'order now' button to be taken to the product page. 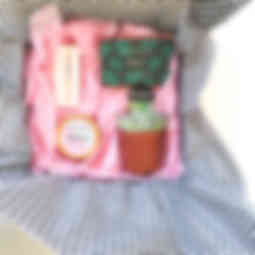 From there you can choose the product options you would like and your delivery options. Then, continue on to the checkout page to enter the information relevant to delivery, such as the recipients address and the message you would like to send. Enter your payment details then click the 'Place Order' button and you're done! All information that you provide, including payment details, are secured using 256bit SSL (secure socket layer) encryption technology, making it safe to order online. If you are having problems ordering, you are welcome to give us a call on 02 9188 5490 from within Australia or +61 2 9188 5490 from outside Australia. Certainly, please call us on 02 9188 5490 from within Australia or +61 2 9188 5490 from outside Australia and we would be happy to assist you. Yes, on checkout you can add a personalised message to be sent with your order. Your message will be printed exactly as written on our free, high-quality Flowers Across Sydney message cards, secured within a sturdy envelope. Please be sure to include who the gift is from when writing the card if you would like the receiver to know who sent the gift. Yes, after you place your order you will be redirected to a copy of your invoice which is printable. You will also receive a copy of your invoice sent to the email address you entered during checkout. Please contact us or call 02 9188 5490 from within Australia or +61 2 9188 5490 from outside Australia and we'll try to assist you in any way we can. Delivery charges depend on which suburb/area of Sydney your order will be sent to. 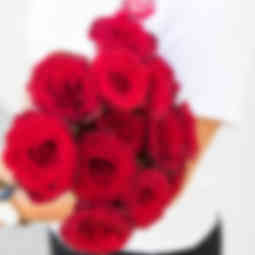 More information, including a list of Sydney suburbs we deliver flowers to, can be found on our delivery page. I can't find exactly what i'm after, can you make something for me? Why are your flowers cheaper than most other online florists? We'd be happy to try and assist you to make something unique and unforgettable, just call our experienced florists directly on 02 9188 5490 from within Australia or +61 2 9188 5490 from outside Australia. Alternatively, you might like to try our 'Create-A-Bouquet' service which allows you to set the price and choose which flowers you'd like us to arrange for you. We'd be happy to try and assist you in making the right decision for the occasion, just call our experienced florists directly on 02 9188 5490 from within Australia or +61 2 9188 5490 from outside Australia. 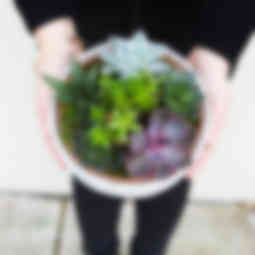 We are a local online florist with local prices. By operating completely online and delivering directly to customers in the Sydney area (instead of using a relay service) we are able to keep overheads down, which means lower prices than many online florists who need to keep prices higher in order to deliver interstate or worldwide through relay systems. 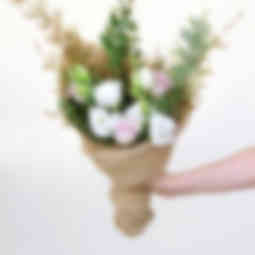 Many flower relay services act as a type of brokerage, collecting orders from customers, taking a fee for collection, and then passing on the order to a florist within their network. We feel that it's much better to deal directly with a local florist (whether it's us or otherwise), as you'll most likely receive better value for money, and more consistency of quality. The florist will usually come out better as well, because they can manage their costs better and not have to pass on revenue to the relay service. 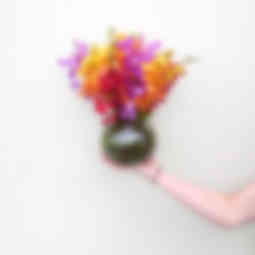 We have two locations, one in Melbourne at www.flowersacrossmelbourne.com.au, and one here in Sydney in St Peters. To keep overheads (and prices) low, we are an online only shop, which means we are not open to the public, however, any correspondence should be sent to our Melbourne CBD head office at Lvl 40, 140 William St, Melbourne, VIC 3000, Australia. All of our Sydney flowers are made fresh to order and come directly from our florist workshop location in St Peters, Sydney. No, we are proudly a 100% local florist. 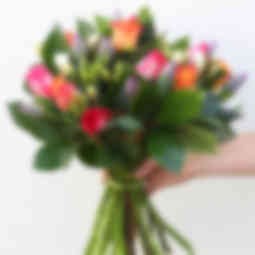 When you call us you can be speak directly to one of the florists who will make up your order. All orders are made by us and to ensure quality, we don't relay your order to another florist, which is why we only service the Sydney area.